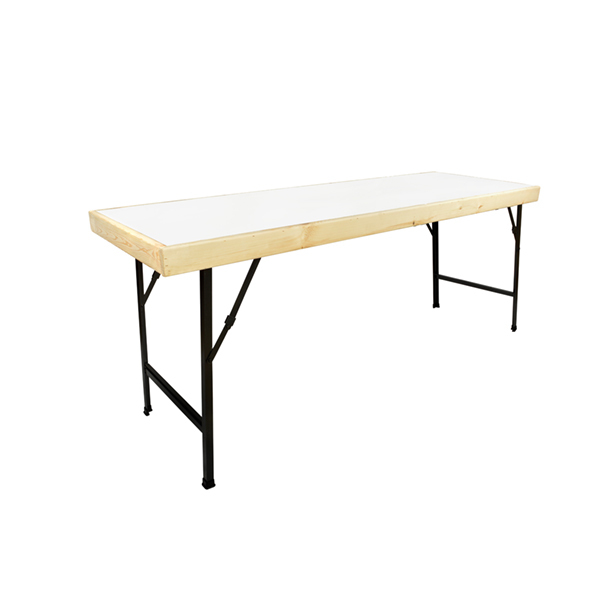 These tables feature a white melamine top which provides an easy to use wipe clean surface. The melamine is finished with a softwood surround which adds strength and enables the table to be stacked easily when being stored or transported. 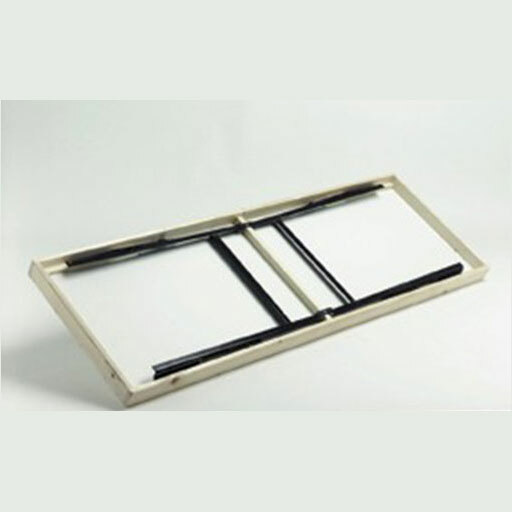 Folding Angle Iron legs make them extremely easy to use, practical, and easy to store away. Construction Yards, Scout Groups, Exhibition Furniture, Army Cadets, Adventure Centres, Racetracks, Football Clubs, Outdoor Furniture, Tables for Grass, Girl Guides, Movie Companies and Sports Groups.